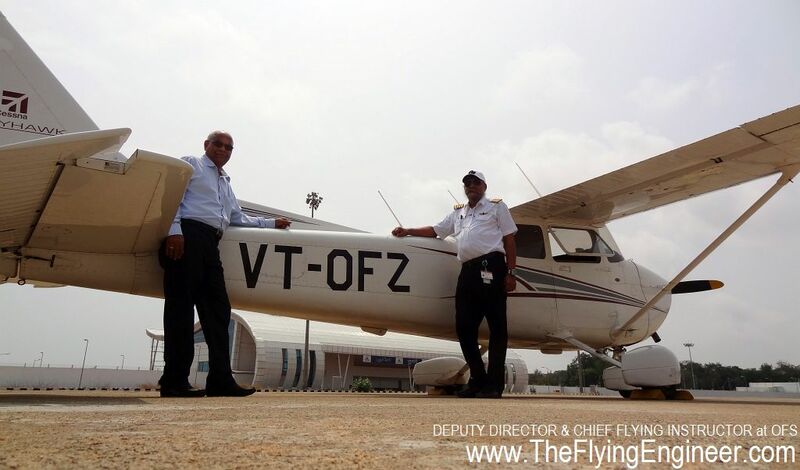 Orient Flight School was established in 1994, and stands out as the only noteworthy privately run flight school across the three states of Tamil Nadu, Kerala, and Karnataka. The flight schools at Karnataka and Kerala are run by the state governments, with aircraft supplied by the Aero Club of India. Among the four flying training institutes in Tamil Nadu, one, Madras Flying Club (MFC) is still looked upon as a club, and presently has issues with the Airport Authority of India for operations at its base: Chennai Airport. Two other privately run schools share and operate out of Salem airport, and according to the DGCA website do not have a fleet beyond 3 Cessna 152 aircraft, each. Orient Flight School, based at Pondicherry Airport (ICAO: VOPC, IATA: PNY), has a listed fleet of 9 aircraft : 3 Cessna 152s, 5 Cessna 172R, and 1 Piper Seneca III (PA-34). Of these, one Cessna 172R and the multi-engine Seneca III have not flown in a few years, due to issues with parts. 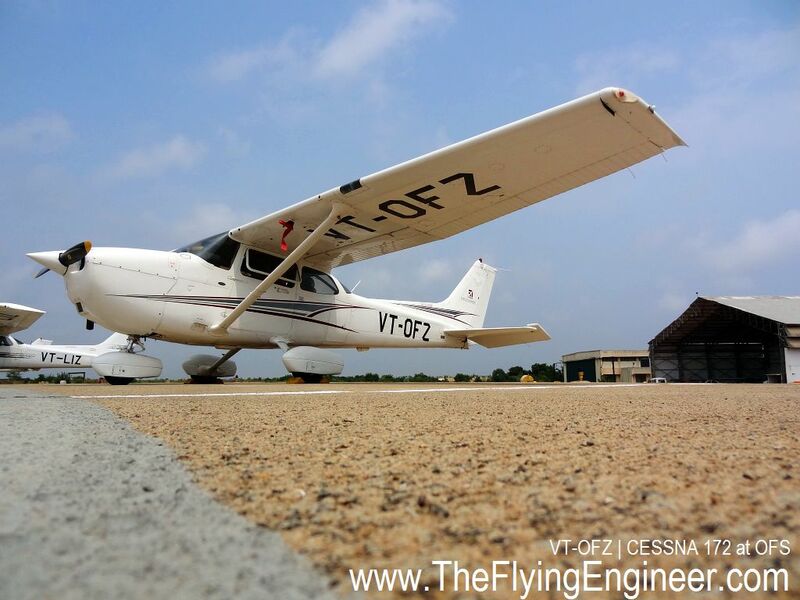 One Cessna 152 has been down for a while, due to a damage suffered when Cyclone Thane hit the east coast of India. This leaves the active fleet with 2 Cessna 152s and 4 Cessna 172Rs. The variation within the Cessna 172R fleet allows students to be exposed to a larger variety of cockpit types within the same fleet. One 172, VT-LIZ has traditional analog instrumentation, which includes a Direction Indicator, with Omni-Bearing Indicators (OBI) and an Automatic Direction Finder (ADF) for navigation. In addition, though only for supplemental navigation, the aircraft has a KLN 89B GPS. Another 172, VT-OFA, has a Horizontal Situation Indicator (HSI) and ADF for radio navigation, in addition to the KLN 89B GPS. Two other aircraft, VT-OFX and VT-OFZ feature a Garmin G1000 Glass cockpit. 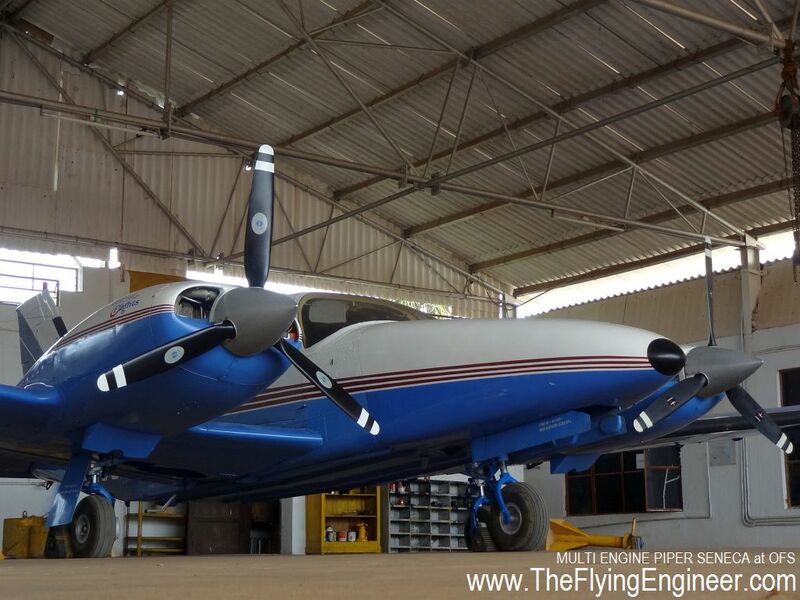 As is the case with most flight school aircraft in India, none of the airplanes have a Distance Measuring Equipment (DME), but rely on the GPS to derive the distance to the waypoint or station. All aircraft are fitted with ILS receivers. The Cessna 152s feature a more rudimentary cockpit, with no GPS, no ILS, no DME, but just a OBI and a ADF which will allow for very limited navigation. This isn’t an issue, as the 152s are used for flying under Visual Flight Rules (VFR), and one used for teaching basic flying skills at the initial stage. Flying training has three major components: Aviate, which has to do with flying the airplane and the aircraft performance; Navigate, which has to deal with getting safely from one point to another, and Communicate, which is a sensible chatter with Air Traffic Control, to ensure that everyone around is aware of the traffic in the vicinity and for purposes of receiving clearance and weather. The fundamentals of aviating are the same across almost all civilian aircraft, but the details are specific to the aircraft. Students at OFS get to fly the Cessna 152 and Cessna 172, which are two similar yet different airplanes, allowing students to appreciate the variation in handling, performance, procedures and limitations between the two types. Navigation can be accomplished either by looking out of the window and flying with respect to ground references, which is known as visual flight, or by solely relying on instruments, which is known as instrument flight. With the very basic and limiting navigation instruments on board the Cessna 152 in OFS’s fleet, students use the airplane to pick up visual flying. With the comparatively advanced and more comprehensive cockpits of the Cessna 172s, students get to appreciate the use of the same navigation techniques with different instruments: The OBI, the HSI, and the CDI representations in the glass cockpit 172s, providing students a rich experience of navigation instruments. 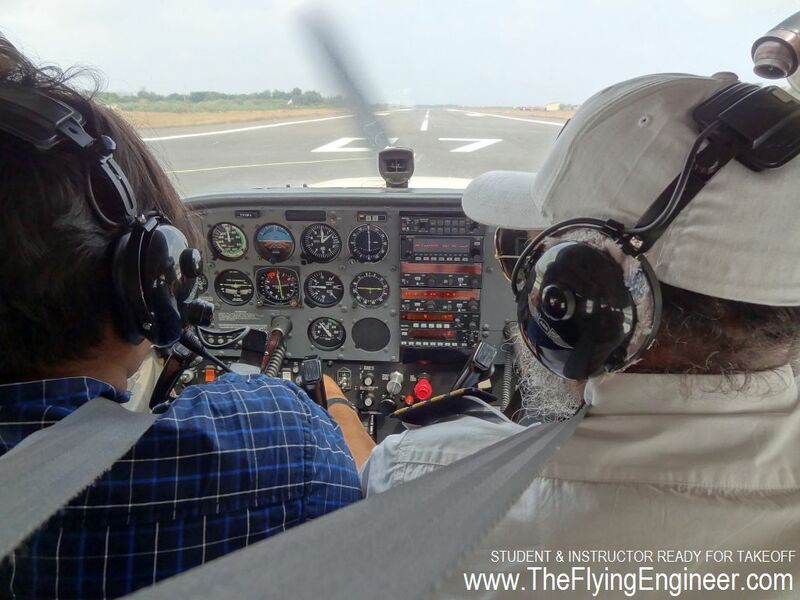 Since almost all students aspire to fly for an airline, and airline flying is mostly with instrument flight rules, this setup can help students get to better grips with instrument flying. Pondicherry Airport has a 4000ft long runway oriented East-North-East (70°) and West-South-West (250°). The airport has a Non-Directional Beacon (NDB) at 385kHz, but no VOR or ILS installations. The airport has no night facilities, no fuel facilities, and the Air Traffic Control (ATC) watch hours at the airport are now between 09:00hrs and 14:00hrs, Monday to Friday: a 5 hour window of operation. 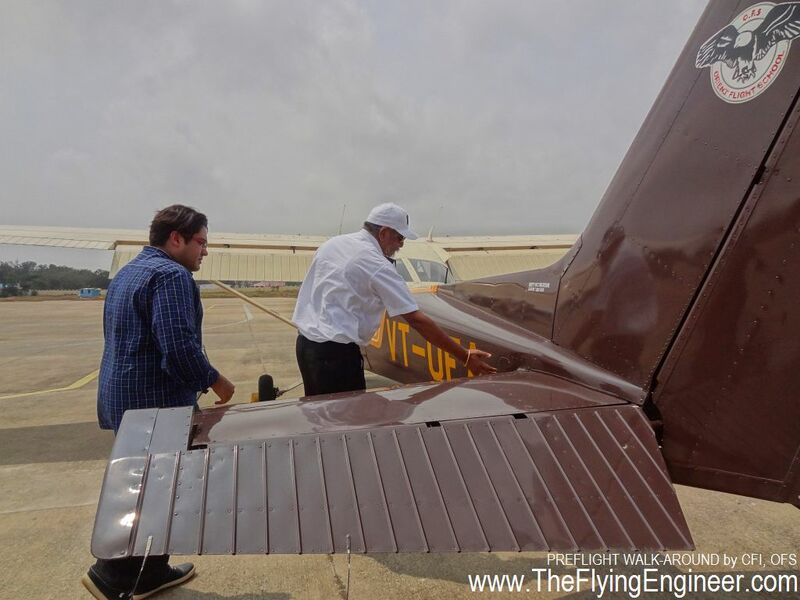 Because OFS is a flight school based at Pondicherry, the school is authorized to operate beyond watch hours, till local sunset, but limited to local flying only. Early morning flights just after dawn are conducted only when sufficient students are present. SpiceJet used to operate a scheduled service to Pondicherry with its 78 seat Q400 turboprop aircraft, but discontinued the sector due to a poor response. The airport occasionally witnesses helicopter operations, and at times used by the aircraft of Madras Flying Club. Otherwise, the school pretty much has control over the airfield to fly unhampered by airline traffic. The weather at Pondicherry allows for almost 300 days of flying every year, including the Saturdays when the school works half day and Sundays when the school doesn’t operate. Being an airport that was designed to handle airliners, the airport has fire trucks and ambulances on standby. When the school operates beyond watch hours, it has in place its own jeep which serves as a fire tender with a first aid medical kit. Since 1994, the flight school has trained 350 students towards a Commercial Pilot License (CPL), Private Pilot License (PPL) and a few Multi Engine Ratings. It has also catered to a few students who hadn’t flown for a while and needed a CPL renewal or a recency. Every year, the school takes in two batches: One in January, and the other in July. Each batch can accommodate 20 students at most. The 24th Batch joined in the January of 2014, and the 25th Batch will commence in July 2014. The CPL course is advertised as a 24 month program, though one exceptional student has completed his training in 11 months, and few others in 15 months. A private Pilot License (PPL) course is advertised as an 8 months course. In the CPL course, the first 6 months are dedicated to ground classes and initial licensing. In that the first 4 months are covered in Ground school, which is a few kilometers away from the airport, and the next two months are reserved for clearing SPL and obtaining FRTOL (R). The 10 months following that are dedicated to flying, subject to weather, availability of aircraft, and the diligence of the student. 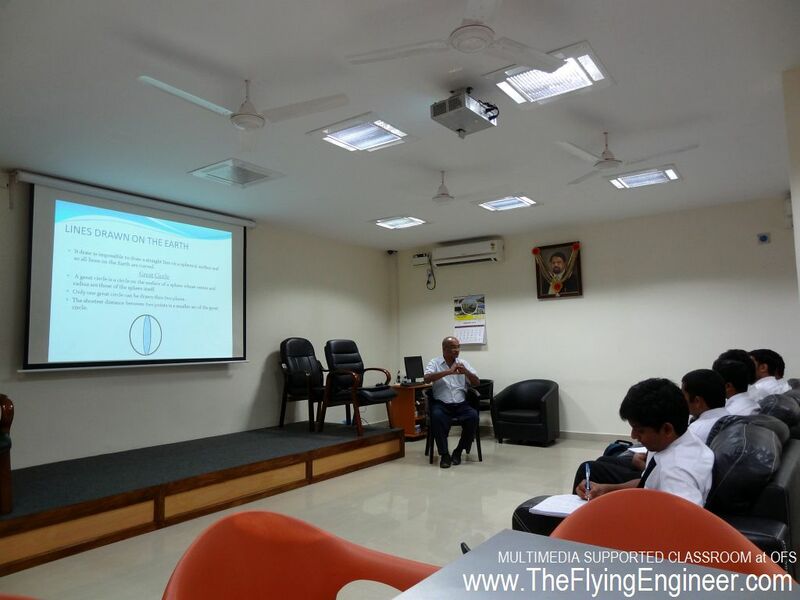 When the student completes 150 hours of total flying time, flying is temporarily halted, if the student has not cleared all DGCA papers in Air Navigation, Aviation Meteorology, Air Regulation, and Technical General: covering Aircraft & Engines, Technical Specific to the aircraft the student flies, and Radio Telephony. Once the papers are cleared, the remainder 50 hours are flown, after which the necessary paperwork is completed towards the application for a commercial pilot license, and handed over to the DGCA for the issue of the CPL. In the course of these 200 hours, 50 hours are flown on the Cessna 152, and 150 hours on the Cessna 172R. The flight school also has an Alsim AL-50 single engine flight simulator, on which students get 20 hours. 5 hours are given at the start of the training, followed by 10 hours at a later stage of the training when instrument flying commences, and the last 5 hours are flown towards the end of the course. Since the flight simulator is located at the Hindustan University’s Aeronautical & Aerospace Department, Chennai, students have to travel 150km by road, for flight simulator sessions. Initially, the flying is as low as 15 hours a month, which, according to the school, is a fair amount considering two flights a day, and the limited ability for a fresh student to absorb concepts, procedures, and techniques. Once a student is at an advanced stage of the training, the hour building is much faster. While some schools rely on the aircraft’s Hobbs meter (engine hours) to log, OFS, like IGRUA (Indira Gandhi Rastriya Uran Akademi) logs hours based on the watch / clock. At Orient Flight School, student pilots usually get their first solo (student flying the airplane without being accompanied by anybody) in 12 to 20 hours, which is based on the student’s performance and proficiency with emergency procedures. “Safety comes first. There are many instructors who like to claim that their students got their solo earlier, but that could potentially be at the cost of safety. But we don’t follow that here.”, says Captain BPS Budhiraja, Chief Flying Instructor at OFS. Orient Flight School claims to follow a strict “Solo” policy, unlike some schools which send students on “Dolo” flights (A flight logged as a solo, but with one other person in the aircraft). During the CPL course, a student picks up around 110 hours of solo, with the rest as dual, for instructional flights. For cross country flights, part of the requirement for a CPL, students fly from Pondy to overhead the cities of Trichy (Tiruchirappalli), Madurai, Chennai, and Bangalore. Due to the high air traffic at Chennai and Bangalore, cross country flights to these two cities are flown very rarely. These flights are flown under visual flight rules, with students using navigation instruments as a backup, allowing them to get to better grips with instruments. At this stage of the training, a student, according to the CFI, can log as much as 60 – 80 hours per month. 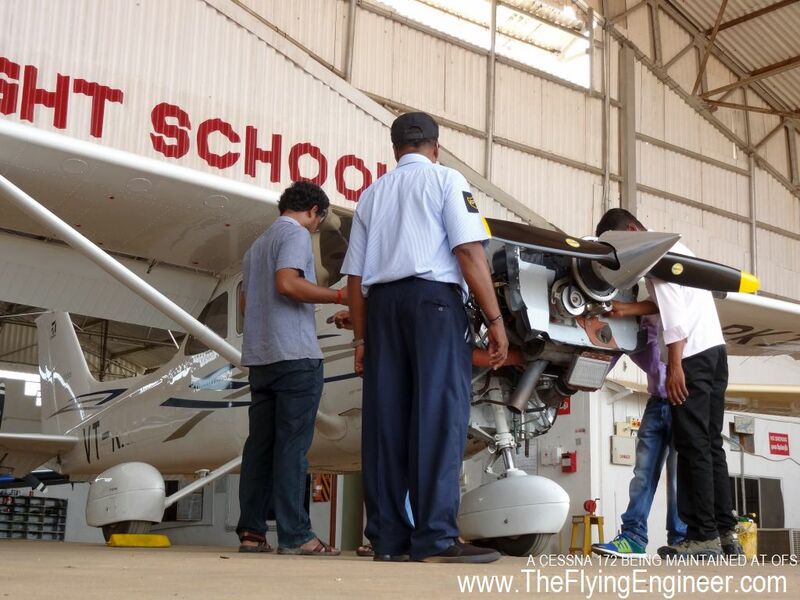 For Instrument flights, students use the VOR at Kanchipuram, and the VOR and ILS facilities at Trichy and Madurai. 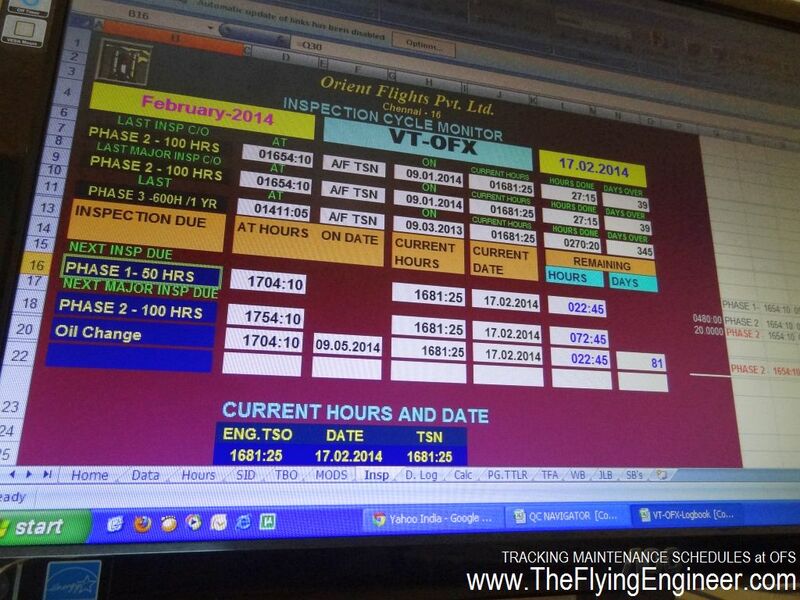 Night flying activities are performed at Madurai, where OFS positions one or two Cessna 172s on a need basis. Some instrument flying can be practiced at Pondicherry, which has a NDB, although Pondicherry itself is a VFR airfield. However, Pondicherry’s NDB approaches are soon to be published. The Cessna 152 fleet, and the variations in the Cessna 172R cockpit give students a good experience of two aircraft types and four cockpit instrumentation. Although preference is given towards the conventional analog cockpits for flying training, students get a 1.5hour familiarization course on the G1000 Cessna 172s, which students fly on a need basis. Glass cockpit experience is very desirable from an airline-preparedness point of view. Most airliners today feature glass cockpits, and familiarity with a glass cockpit always offers an edge. The best flight schools in India use glass cockpit aircraft in their fleet. With all the flying on the Cessna 172 and 152, the student gets a CPL on a single engine aircraft only, which makes a pilot ineligible for most airline interviews. However, with the multi engine Seneca III expected to be up and running in March 2014, students may get their multi engine rating in the same school, allowing them to meet the requirements for an airline job interview. The maintenance of the flight school aircraft is carried out by Orient Flights Pvt. Ltd (OFPL), and is approved by the DGCA (India) as a CAR 145 maintenance organization. This allows the maintenance facility, which is housed in OFS’ hangar, to cater to other private, and non-scheduled aircraft as well, for airworthiness review and maintenance. Since its inception, OFS has reported only a single accident, and two reported incidents, which speaks high of the maintenance of the organization. The accident is described under “Flexibility and Discipline”. Maintenance is headed by Mr. J.S. Sidhu, the Maintenance Manager, who is a DGCA recognized Aircraft Maintenance Engineer (AME) since 1987. There are 3 other AMEs, 2 senior technicians, and 10 technicians to support the maintenance arm of the organization. In addition, the quality of maintenance is overseen by the DGCA approved “Quality Manager" Mr. A K Singh. OFPL has all the necessary equipment to test and calibrate flight and navigation instruments, check and charge batteries, and a store to house supplies & spares, which are needed in the course of line operations, to ensure disruption-free flying. For the sake of simpler yet effective quality control, OFPL has developed a Microsoft-Excel based tool that helps track each aircraft’s maintenance schedule and bring to notice the next due dates for specific inspections. This not only makes tracking quality simpler, but effective, resulting in an added layer of safety. The administrative complex of orient flight school houses the Ground school, with a ground level Seminar hall that is designed for the use of computer based presentations. The library covers subjects that are above and beyond those required by CPL students, but can help quench their thirst, should the need arise. With the fast dwindling relevance of hardcopy books, and the shift towards e-learning, a library will witness significant disuse. Two Classrooms on the upper floor are for the traditional methods of teaching: a marker and a whiteboard, and cater to the two batches per year. There also is a map and Route planning room, where students may study maps and also plan their cross countries. A computer lab, intended for students to solve sample DGCA question papers, has about 20 computers: sufficient to cater to every student of a batch. The Ground School of OFS has Air Cmde (Retd) V. Govindraj as the Chief Ground Instructor (CGI), who also serves as the Deputy Director of OFS. He has around 9000 hrs of flying experience with the Air Force. Under the CGI are two instructors, WgCdr (retd) T.R.Shankaran, with 3000 hrs of flying experience with the Air Force and Capt. Bharath, who obtained his CPL & Instructor rating from Canada. The three instructors cover the required theory for the CPL test papers. The Flight School of OFS has Capt. BPS Budhiraja as the Chief Flying Instructor (CFI). Capt. BPS has been flying since 1983, and has over 7,100hrs of flying experience. Almost all his flying has been at flight schools, one of which is IGRUA, except a brief period at NEPC Airlines, where he was flying the Fokker F27 “Friendship”. Under the CFI are Two assistant flight instructors (AFIs): Capt. KaramjeetKaur, and Capt. Sukhpreet Singh. Sukhpreet has finished all formalities required to become a Flight Instructor (FI), and will soon assume that post. The school strongly encourages, but doesn’t enforce discipline. Those who follow the guidelines as laid out by the school usually finish their training earlier, but those who take long breaks from flying, land up taking a longer period to complete their flying. The school offers flexibility in its flying and roster, within acceptable limits. A three hour instruction flight followed by a 3 month gap will render training ineffective. According to the CFI, who joined the school in 2005, the instructor serves as a model for the student. If the instructor is to get too comfortable with the student, and allow for leniency in training, deviation from certain standard operating procedures (SOPs), or fly in manners not advisable: such as low flying, the student, even if asked not to, will eventually land up doing those very things when not under supervision, leading to accidents and incidents. Most accidents at flight schools are a result of indiscipline. On 10th May 1996, an OFS aircraft, VT-EUR, a Cessna 152, took off from Pondicherry airport for general flying activities. 15 miles away from the airport, the aircraft flew low near Buckingham canal, apparently because the student pilot saw some good looking girls, and wanted to entertain them. While flying low unauthorized over the canal, the aircraft’s landing gear got entangled with telephone wires. The aircraft as a result got inverted and crashed into the canal. There was no fire, and the pilot escaped with minor injuries. The requirement for the issue of a CPL is that the applicant, apart from his flying requirements, must have completed his senior secondary education (10th+2). Unlike in the United States, where a graduation is necessary to be eligible for an airline job, the entry level requirements in India are much lesser: both in terms of experience and educational qualification. OFS, which is part of the Hindustan Group of Institutions, offers a BSc in aviation through Hindustan University. The first year of the BSc is at Hindustan University, Chennai, and ground subjects run in parallel. For the next two years, BSc and the two year flying programs run parallel, such that at the end of the intended two year CPL program, a student has both his commercial pilot license and his BSc in aviation. OFS is one of only two flying schools in the country to offer such a program. With the present high rate of unemployment amongst pilots, in the Indian aviation industry, having a graduation offers the student wider interim employment opportunities, while allowing a pilot to later take up a Masters in Business Administration (MBA) in aviation, which will help such a pilot to later seek a management position in an airline or elsewhere. Students are offered the option of opting for accommodation either offered by the school, or making their own arrangements. The school’s accommodation is modest, but has the facilities of security and in-house cooked food, making the stay secure and comfortable. Separate accommodation is provided to girls. In addition, the school has a bus which transports students to and from the Ground school, and the Flight school. Since 2013, OFS has held the PAST-OFS entrance tests. “PAST” is an abbreviation for “Pilot Aptitude and Skill Test”, in which those interested in joining the CPL course at OFS is made to undergo a 3 stage test: Written, SAT (Situational Awareness Test), and an interview. The written entrance is simple English, Mathematics, and Physics, at the +2 level, with one hour per subject. The SAT involves showing the students aircraft instruments, giving them a brief introduction, and with the help of examples, making them deduce an aircraft’s situation. This is followed by a psychometric test, based on what is offered at Lumosity.com. The last stage is the interview, where the student’s communication skills are gauged. The intent of PAST-OFS, as highlighted by the Deputy Director of the school, is not to reject candidates, but rather to identify their area of weaknesses and strengths, which are then shared with the students and their parents to help him or her take the efforts to come upto speed in that area. No eye-hand coordination (psychomotor) tests are held. 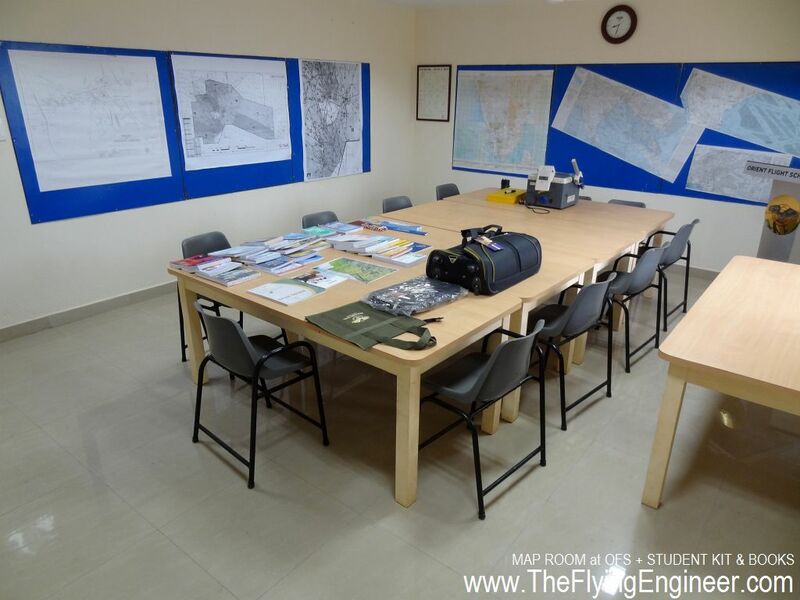 The prevailing fees at Orient Flight School is INR 26,00,000 (26 Lakhs / US$41,800) for a 200hr single engine CPL, with IR (Instrument Rating) and Simulator sessions, books, and two pairs of uniform. In addition, the school charges service tax at 12.36%. Accommodation, food and transport is charged at INR 50,000 per student for a 6 month period. In short, the cost of a 2 year single engine CPL with IR with school-provided accommodation will amount to INR 28 lakhs, plus taxes, at the time of writing this article. When the Multi-engine option is offered, the CPL program fee will increase. 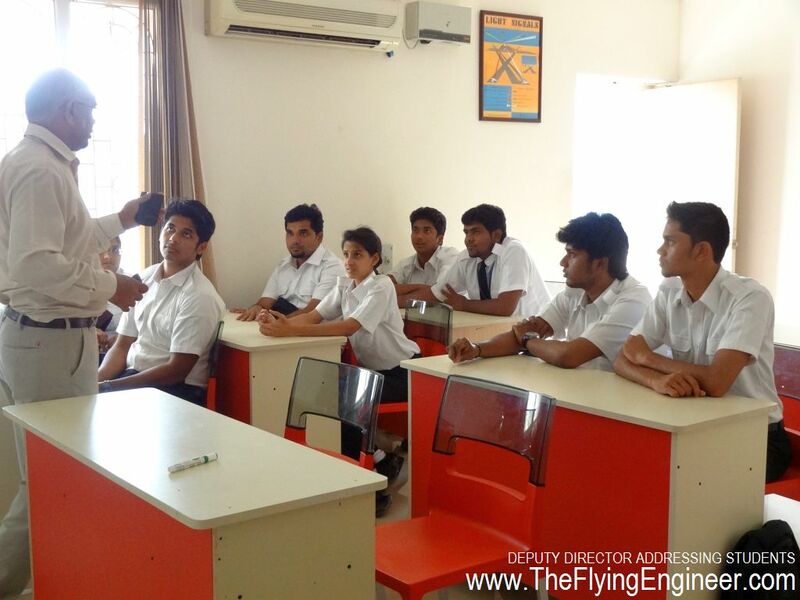 The BSc Aviation course fee is INR 30,000 per year, and fees related to DGCA examinations are borne by the students. The Piper Seneca, which has been down for many years, is expected to be back in the air. In addition, the school plans to have a wing at Mysore. Mysore airport (ICAO: VOMY, IATA: MYQ) has an east-west facing, 5,700ft runway, and a VOR radio navigation aid. The Hindustan Group is opening OFAA: Orient Flights Aviation Academy, after winning the tender floated by the Airports Authority of India (AAI) for the setup of a flight school at Mysore. The school will also have a maintenance facility, which will be provided by OFPL. With time, the maintenance facility is expected to cater to aircraft outside OFAA, eventually becoming a MRO. Mysore is just 150km from the “Aviation Capital of India” and “IT Hub of India”: Bangalore. Being out of the congested airspace at Bangalore can allow OFAA to take up not just flying training, but charter services to cater for activities such as sky diving and joyrides. OFS will use Mysore airport for flying activities, in parallel with OFAA. The hangar at the airport, and the off-airport administrative building, which also houses the Ground School, are ready at Mysore. OFS may start operating in Mysore airport on “Camping basis" in April of 2014, and OFAA is expected to come up in less than a year, with only paperwork pending. OFAA will serve the pilot-aspirants in Karnataka. Earlier, in 2006, select SC/ST students from Karnataka were sponsored their CPL at OFS, by the Karnataka government. The Deputy Director is pleased with the thought of starting operations at Mysore. He says, “Mysore is a better facility”. OFS’s performance in 2013 was 2,170 flying training hours, , which is 10% lesser than the average over 8 years. Contributory factors are the number of students: On average, each batch is filled to 40% of its capacity: 8 students per batch; and the watch hour restrictions at Pondicherry Airport, which prevents the school from making the most of a good flying day. Based on statistical data, the best months for flying seem to be at the starting of the year, for the four months: January, February, March and April. Weather, which over the years has started defying trends, has an effect on flying. The South West monsoons, according to the CFI, do not disrupt flying all that much due to Pondicherry’s location in the leeward side of the mountains at Kerala, where most of the energy is dissipated. However, the North East Monsoons between October and December do have a more pronounced effect on the Flight school’s operations. Many OFS students are today flying for some of the major airlines in India. The school, however, does not have a cadet pilot program scheme like that at NFTI, or a campus placement like what IGRUA offers, at times. Towards the end of the training, students get to fly the glass cockpit G1000 fitted Cessna 172 aircraft, giving them a good exposure to 5 cockpit variants. However, the CPL is on single engine, and students have had to go outside for their multi engine rating. With the school’s Seneca III expected to be operational in April 2014, OFS will be posed to give students a one-stop solution for their CPL that makes them eligible for airline interviews. OFS is one of those few schools which have an in-house flight simulator facility. The simulator being non-aircraft type specific is two sided: it will give students a wider exposure to instrument layouts, while preventing its use as a type specific procedures trainer. 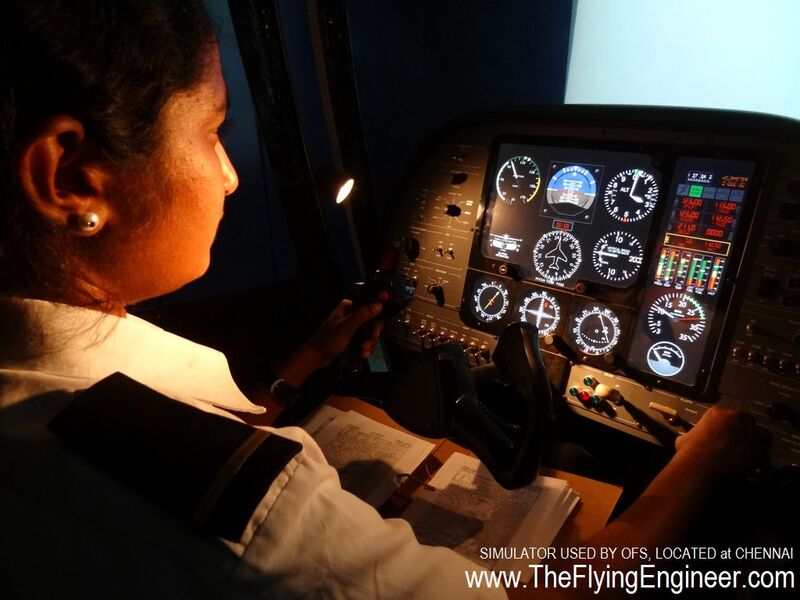 Although the location of the simulator, at Chennai, is very far from the flight school and ground school at Pondicherry, it doesn’t seem to hamper flying training schedules. The Garmin G1000 fitted on the school’s two airplanes, VT-OFX and VT-OFZ, could be put to better use by the school. With the data logging facility, the school can use the logged flight profile as an effective tool to de-brief the student, allowing for much more meaningful and effective corrective mechanisms. If used, the tool can allow to take back to his hostel his flight profile, which he can self-study to better himself. AVGAS supply is an issue that almost every flight school faces, in India. The rate that AVGAS is available to OFS is INR 230/L, which is significantly high, and includes the cost of transporting the fuel from Chennai, where the fuel is available. However, the proximity to Chennai makes the situation appear far less worse than other schools which have to transport the fuel across longer distances. OFS is the only flight school in India, other than IGRUA, to offer BSc Aviation along with the CPL. This 3 year course that runs in parallel with the CPL ensures that the student pilot is left with more than a commercial pilot license: a graduation as well, which allows for broader employment options in the absence of a flying job. Such a program has added value to the flying course, which helps cross a big hurdle: mindset. South India is far more conservative and narrow-minded in terms of career options. Parents usually wish their children to take up either medicine or engineering, stifling the passion of those, who wish to fly. As a result, attracting students for flying is a task, which explains the lower number of students at the school. The BSc course along with the CPL program has had a positive impact on the admissions. On average, each batch is filled to 40% of its capacity: 8 students per batch. With such numbers, 3 instructors, and a fleet of 6 serviceable aircraft are ample for flying training to be completed within the 2 year period. Most of the students have selected OFS because of its reputation as part of the prestigious and well known Hindustan Group, and because it stands out as the only noteworthy Academy among the three southernmost states of India, and one of the top full-private schools in the country. Since most students are from Chennai, OFS offers the comfort of being in close proximity to the city, which is another important reason for students choosing OFS. When OFAA comes up, it will be the preferred flight school for students from Karnataka, just as OFS is for aspirants from Tamil Nadu. Seeking line training/Building flying hrs. EASA conversion. Holding FAA A 320 license. . Tks. Seeking line training/building flying hrs. Holding FAA A320 license. Tks. After 10 th can we get SPL.in Kerala please.